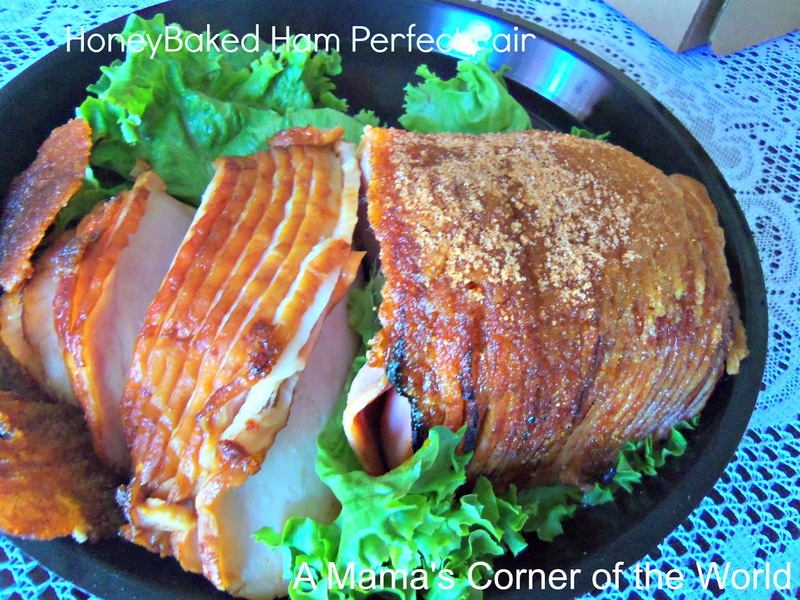 This post is brought to you by HoneyBaked Ham as part of their #HoneyBakedEaster campaign. Easter Dinner is a special tradition in our family. The Easter ham is an absolute must-have--along with all of the traditional (time-consuming) side dishes, a huge Easter egg hunt, and a fun-filled, spring afternoon. As our girls have grown, extra-curricular activities often fill the weeks around Easter and my dedicated, kitchen time has dwindled significantly. The HoneyBaked Ham Company takes the work out of Easter dinner prep--without sacrificing that homemade flavor that my family expects. We recently shared an early Easter dinner with my parents, courtesy The HoneyBaked Ham Company catering--and it was a huge hit. 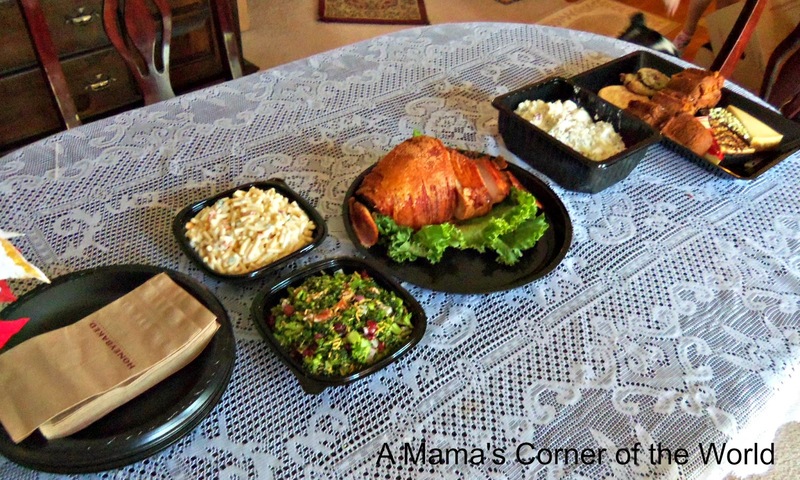 We have previously reviewed HoneyBaked Ham party sandwiches and party trays (during the SuperBowl)--but, this time we were able to plan a quick and easy Easter dinner for our family and a set of grandparents. What did we think of HoneyBaked Ham for Easter? We chose the Ham and Turkey Perfect Pair for our main dish meat selection. Glazed hams are tricky--either they are delicious or they are painfully sweet. My family is not a fan of painfully sweet--so I erred on the side of caution and added a half turkey breast to a quarter-ham for our meal. Wow. The glaze actually hardened--so we able to remove it completely from the ham, so that it flavored the meat--but, we didn’t have eat the “candy-like” coating. It was delicious--and the turkey was perfect. For a family that prefers ham--the lighter turkey option was equally selected from the tray. The pieces are pre-sliced for easy serving--and there is plenty of meat for 6-10 guests. Generally my Grandma’s recipe (which takes two days of preparation) is the Easter dinner potato salad. 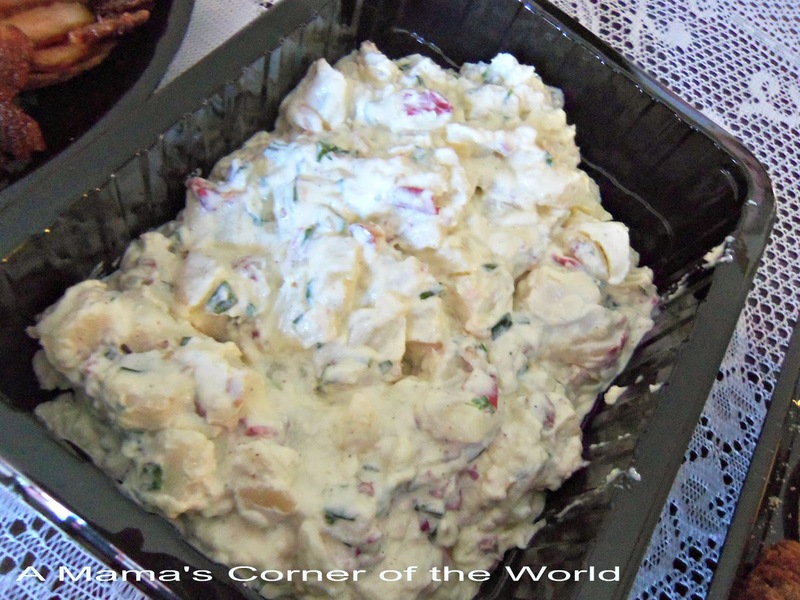 When I discovered that even the kiddos would eat the HoneyBaked Ham Potato Salad--I decided then and there that my potato salad making skills would be reserved for only Thanksgiving! 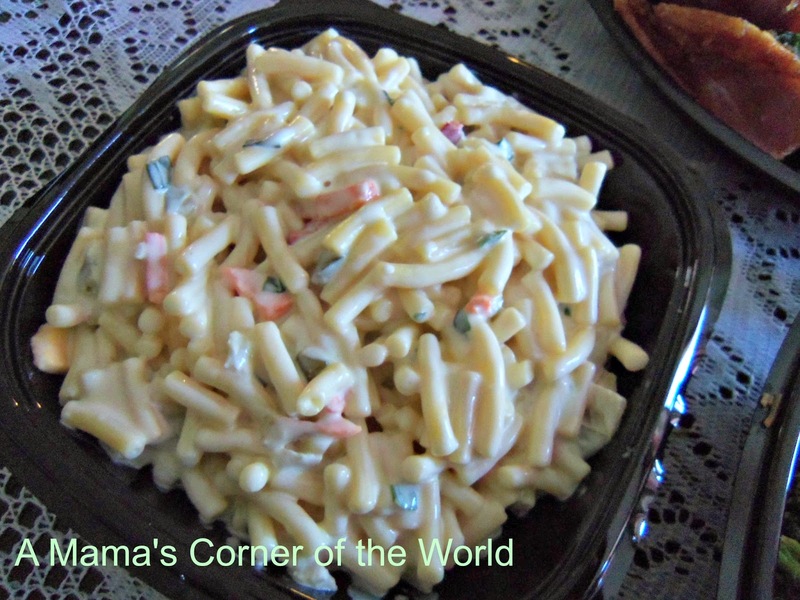 There are so many ways that macaroni salad can go “wrong”--and this one is a hit with even non-macaroni salad fans. 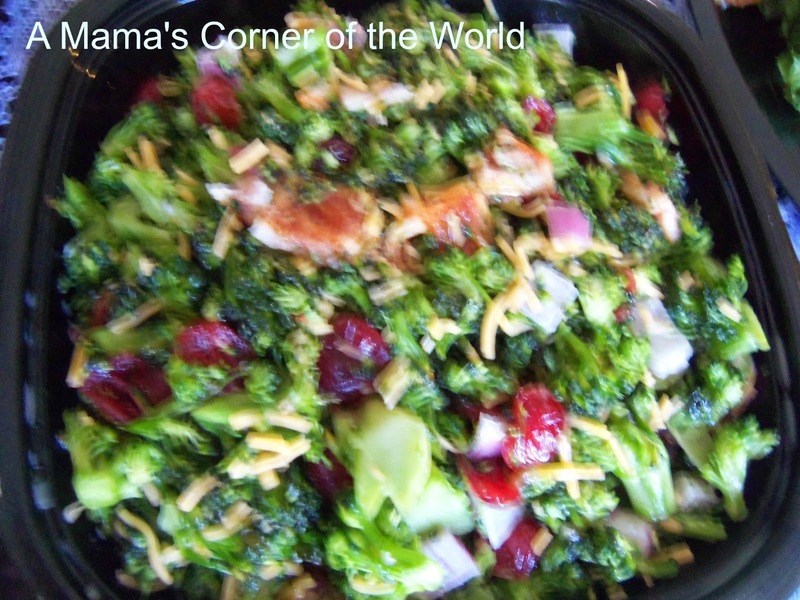 This is a great broccoli salad--loaded with fresh, bite sized broccoli florets and cranberries. This is a yummy alternative to leafy, green salads. The HoneyBaked Ham Dessert Sampler is wonderful. 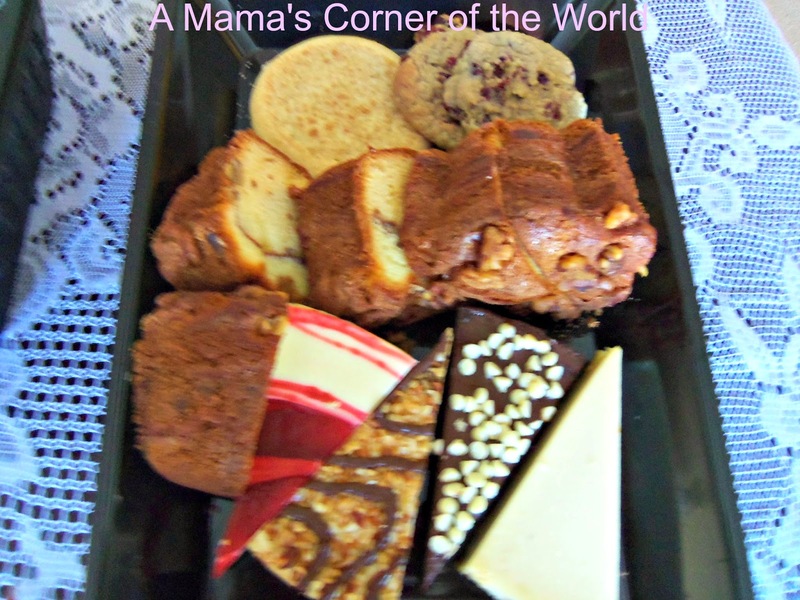 There is a delicious mix of cookies, cake, and cheesecake---all of which can be cut into smaller portions for sharing. I love the cranberry oatmeal cookies. My middle daughter (the picky one) adores the bundt cake--and all of the cheesecake disappeared way too quickly. If you are still planning your Easter dinner--take a look at HoneyBaked Ham. We purchased our meal from the McNaughten location in Columbus, Ohio. Yes, they are a little pricey--but, you do get a quality meal for the price--and you are free to enjoy a little more of your Easter weekend with your family and friends when you opt to cater at least part of your meal! We also have some HoneyBaked Ham coupons to share for this holiday at limited locations. Disclosure: We received out promotional materials for this post extremely late--so we were not able to participate in the giveaway or most of the promotions for this blog campaign. We did receive a gift card to compensate for part of the meal purchased for review in this post--but all opinions of the service were our own.